Western Sydney Local Health District’s former director of supportive and palliative medicine Dr Philip Lee. 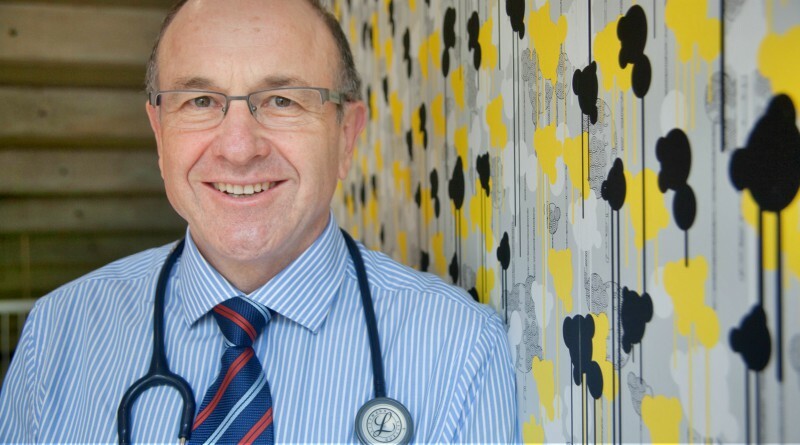 Dr Lee, who was the director of supportive and palliative medicine until his retirement in July, will pump the pedals to raise money for Westmead Medical Research Foundation (WMRF). He will take on the event in the beautiful Southern Highlands on Sunday, 22 October – and is currently keeping up his training by riding in the Pyrenees in France. “I enjoy entering one-day events like the Bowral Classic for a challenge and a focus to keep fit,” he said. Dr Lee worked as a GP in western Sydney – the area where he was born and raised – for more than 20 years. As WSLHD palliative care director, he managed the development of a palliative care nursing education fund at Westmead to help further education and specialist training. He hopes money raised from his ride can be used to enhance care for Westmead’s palliative care patients. Dr Lee devoted much of his career to raising awareness of palliative care and describes his work as both sad and rewarding. “When I was working as a GP, I was looking after a patient who was dying and spent time with them trying to make them comfortable. I didn’t think I did a good job,” he said. “When I got a thank you letter from the patient’s family afterwards, it made me realise I could do a lot more to make a difference. To support Dr Lee on his Bowral Classic ride, go to https://bowralclassic2017.gofundraise.com.au/page/PhilipLee0 or join the cycling event at http://www.bowralclassic.com.au/ to raise funds for Westmead Medical Research Foundation. More than 3000 people joined the event last year, raising more than $100,000 for a range of charities. For more information, contact WMRF events manager Marlene Nasr on 1800 639 037.